If you went to college 10 to 30 years ago, you might be a little envious of the luxury accommodations today’s generations might enjoy — if they can afford it. The college dorms of the past are aging, and post secondary instituions don’t necessarily see a profitable future for themselves in dorm management. Traditionally, dorms were built and maintained solely to house those in their freshman year. Today, huge student housing communities are being built to accommodate hundreds of thousands of students regardless of when they’ll graduate. That’s market expansion. The header graphic above is from American College Campus’s U Club on Woodward in Tallahasse Florida. Kind of jolts your understanding of student poverty and housing desperation. 2nd, 3rd and 4th year students were pushed off campus to find accommodation as they may. Yet, there are few cities in the US, UK, and Canada where housing availability isn’t an issue. Housing scarcity is the new plague of governments, local and national and not many solutions are appearing. However, large housing communities might ease it and provide investors with a great housing investment opportunity. The issue with off campus housing need is that it’s tough to resolve with small multi-tenant buildings and large houses. And while investment companies and REITS are coming to help with the general student housing challenge, it is the luxury student housing market that’s drawing the most attention. What are Student Housing REITS and Why Invest in Them? Student housing REITs (real estate investment trusts) build, own, and manage student housing facilities. Most housing units are either on-campus or within close proximity to campus. REIT investments offer a good ROI while ensuring the investor doesn’t have to be involved in housing management and administration. Those who invest in rental income properties know about the effort, time, and risk associated with managing individual properties to students. These firms may have substantial financial resources and expertise in this field and are in a position to leverage the student housing markets in cities even further. REITs have become a preferred developers for private-public partnerships, due to their reliability and innovative financing structures which match up with the interests of the universities and colleges. The artists rendering on the right is of CIBT’s new GEC community project in Surrey BC, a suburb of Vancouver, costing $27 million. Visit urbanyvr.com for more info on that project. A better solution is in building new built for purpose condominium projects where hundreds of students can live with convenience and safety so they can focus on their studies. And then there’s the luxury market. Demand has been high for this type of modern student living, yet the recent housing crisis has racheted it up considerably. And foreign students now invading the best cities in North America, particularly Vancouver Canada , is pushing demand over the top. Definitely the cream of the crop for investors. With demand high, rental prices skyrocketing, and wealthy foreign families looking to give their kids a good North American education, real estate investment professionals are looking at a high yield investment opportunity. What was once considered a risky investment is now the apple of investor’s eye. Since these project involve big money, big planning, and huge logistics with materials, people and services, investment firms have moved into the space. These are private investments and educational housing REITS that are worth having a look at. Investment funds in the billions are pouring into this space and that should further reinforce investment opportunities, if you choose well. But for the risk-averse, student housing investment is considered high yield at present and recession proof. Some of these large investment firms or REITS target only large scale projects — schools with huge student populations or locations adjacent to many colleges and universities. CIBT in Vancouver BC Canada is one such company. 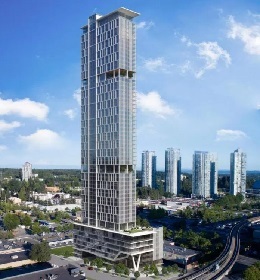 Their student housing projects focus on wealthy foreign students and they’ve positioned their properties and developments in key areas of Richmond and Vancouver in BC. There are at least 9 colleges and universities including the UBC, SFU, and Langara College nearby which positions them for maximum continuous demand. CIBT has bought and converted properties such as former hotels however their focus is really on building new large scale communities. That’s about as good as it gets in the student housing investment market. 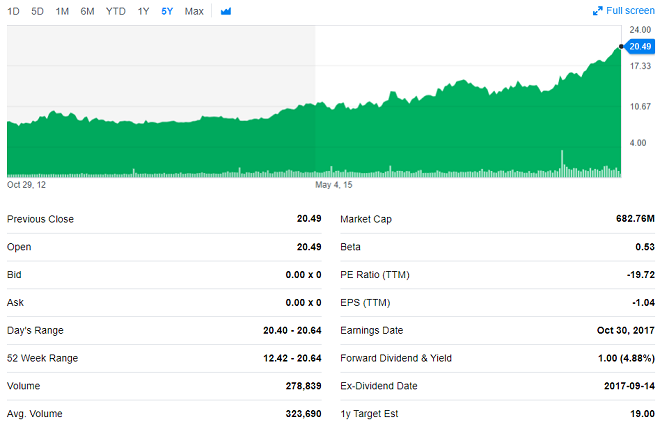 Education Realty Trust Inc. (EDR) whose portfolio consists of interest in over 70 communities with over 40,000 beds. 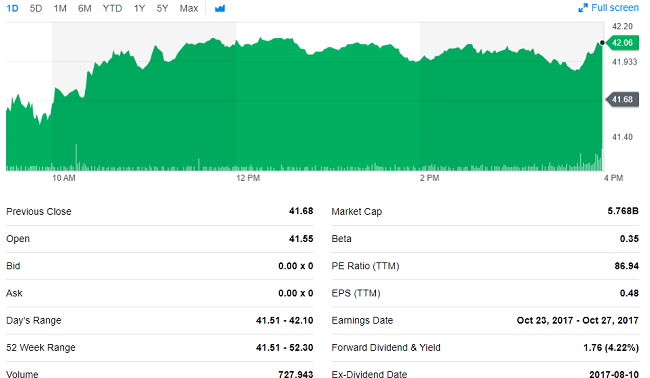 Forecasts are positive for EDR whose stock is climbing of recent. 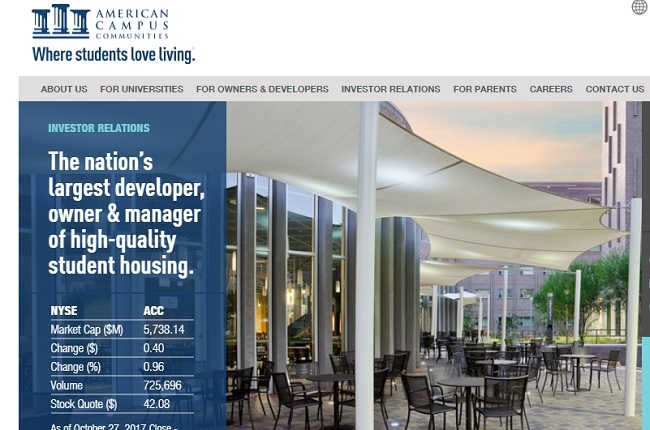 American Campus Communities – American Campus Communities (ACC) is the nation’s largest developer, owner and manager of high-quality student housing communities. The company’s senior management have partiicipted in the development, acquisition or management of more than 350 student housing communities consisting of more than 222,000 beds. APTS Preferred Apartment Communities, Inc. https://pacapts.com/ is a real estate investment trust externally managed by Preferred Apartment Advisors, LLC. The firm invests in real estate markets of the United States. It primarily acquires and operates multifamily apartment properties. 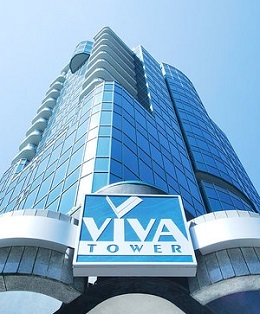 CIBT in Vancouver – CIBT Education Group Inc. is one of the largest education and student housing investment companies in Canada with a total student enrollment of 15,000. Its focus is the global education market, launched in 1994. The company is listed on the Toronto Stock Exchange and U.S OTCQX International. CIBT owns recruitment centres and corporate offices in 45 locations in and outside Canada. There are rumors of 9% returns in some cases, but let’s not carried away with the hype. Overall, for an investor, and for those parents who are concerned about adequate, functional accommodation for their kids heading to college, these companies are solving a problem. Take a further look at investment in student housing in the Vancouver area which has a situation more intense than most US cities. The lack of available land in Vancouver and high immigration levels has create a zero availability crisis.